The Woz Brands Australian Price Gauging by Apple, Others "Horrible"
“The large duties in Australia I’m sure I would not favour. 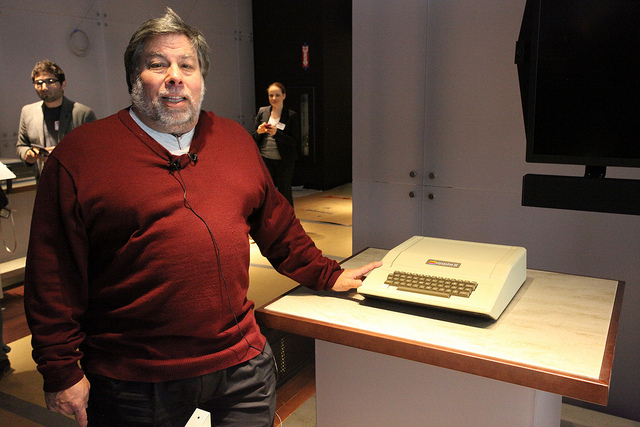 Maybe […] people are very happy and feel very well off because of the protections but I just think it’s horrible,” Wozniak said. An unlocked iPhone 4S costs $649 in the US and A$799 in Australia. When converted to its equivalent price in US dollars, an Australian iPhone will cost $803, a considerable $154 difference between the two countries. The Australian government is already looking to crackdown on price discrimination on digital products, launching an inquiry that seeks to determine why consumers are forced to pay more for software, music and game downloads from companies including Apple, Microsoft and Adobe, than their overseas counterparts. Each company will be asked to explain to Parliament why Australians are paying more for digital downloads, hoping that the publicity around the hearings will force prices to be lowered. Apple and other device makers incur differing costs in the countries in which they sell their products, paying duties, taxes and additional fees to see devices stocked. However, price discrepancies between the US and Australia have been known for quite some time, with Wozniak noting he learned that a car he purchased in the US cost triple in Australia.